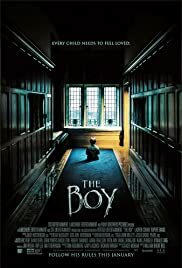 The Boy is a frightening thrill ride directed by William Brent Bell (“The Devil Inside”) starring Lauren Cohan (“The Walking Dead”). Greta is a young American woman who takes a job as a nanny in a remote English village, only to discover that the family’s 8-year-old is a life-sized doll that the parents care for just like a real boy, as a way to cope with the death of their actual son 20 years prior. After violating a list of strict rules, a series of disturbing and inexplicable events bring Greta’s worst nightmare to life, leading her to believe that the doll is actually alive.